The new Crewfit range are the first lifejackets of their kind in the world to offer; safe, stylish, comfortable and affordable solutions to the everyday recreational boater. Using the knowledge and experience we have gained during the development of the ErgoFit lifejacket range, alongside 30 years of experience we have in the design and manufacture of inflatable lifejackets we are able to ensure that every Crewsaver lifejacket encompasses the most advanced and essential safety features at every price point. 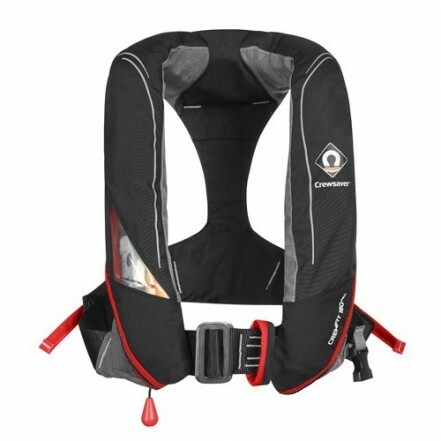 The first of its kind, an everyday boating lifejacket designed using 3D technology to radically increase comfort levels. Successful integration of a high volume 3D shaped bladder design, a peninsula chin support and increased buoyancy to 180N provides you with maximum in water performance. The Crewfit 180N Pro wraps all of these safety features into a fun, stylish, 3D shaped and super comfy cover.